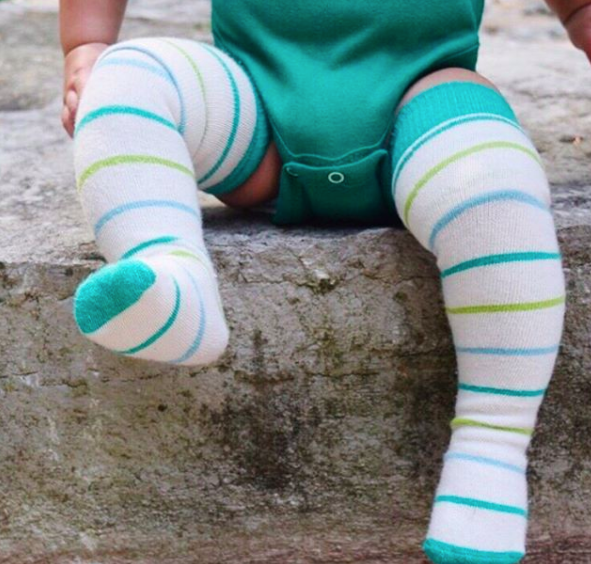 Socklings children’s socks magically grow with your baby and can actually be worn all the way to adulthood. 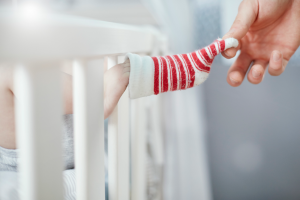 Are Socks Actually Bad For Babies? 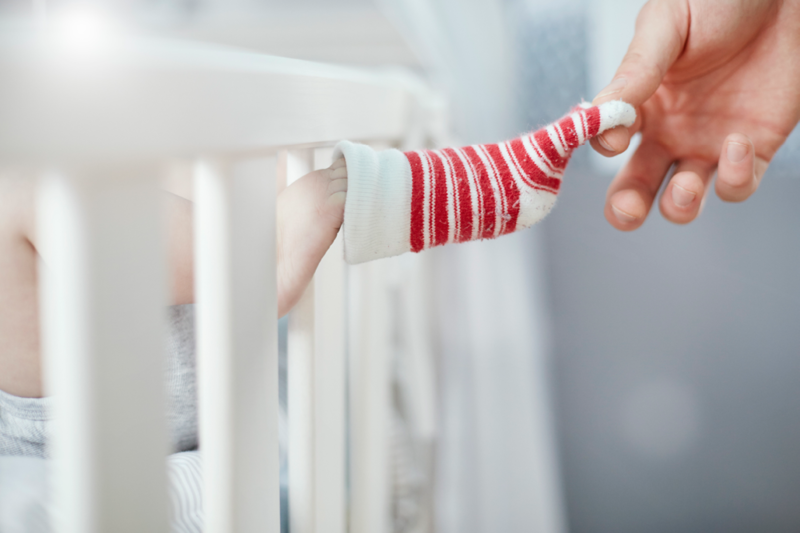 Socklings are children’s socks that are designed to actually grow with your baby — meaning one pair of socks could theoretically last from infancy to adulthood. Calling themselves a new generation of children’s socks, Socklings start out being thigh high socks for babies and children that transform into crew socks for grownups over the years. But that’s not the only great thing about the “grow as you grow” socks. Not only do socklings cut down the need for purchasing socks every few months, they stay on babies’ feet much better than traditional infant socks — something any parent who’s experienced the dreaded “one-sock-on-one-sock-off-where-is-the-other-one?” situation will surely appreciate. But Wait, There’s More Sock Amazingness! As if Socklings aren’t magical enough, the company has a “buy one, give one” mentality. For every pair of Socklings purchased, the company will give a pair of socks to a child with disabilities. For more information and to purchase Socklings, check out the company’s official website.